Despite the fact that nationwide reports have said for decades now that season tickets for theater are a dying model, we’ve actually managed to continue a steady increase in our numbers. It’s been a slow, painful fight at times but one we’re determined to win. We’ve continued to look for new ways to make this more appealing to folks, and to generally reward our best customers whether they come on a single or season ticket. If you are a person who only even comes to one or two shows of ours a year, will you briefly hear me out on why I think you should just go ahead and pick up a pass? Money. Money, money, money. With the season pass (ordered by July 24), the grand total of your ticket per show is locked in at $21.65. No extra fees, nada. A single ticket starts at $29.50 and as demand increases can easily go up to $44.50 per show. You could also pay over $10 in fees on that ticket (that does not benefit Jobsite), and that single ticket is also not eligible for exchange without further financial penalty if something comes up. 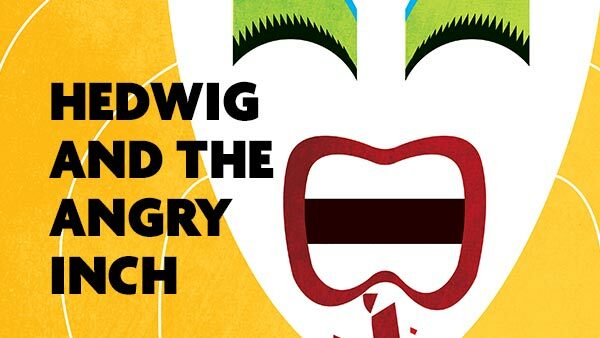 Picture this scenario: you and your bestie want tickets to go see Hedwig and the Angry Inch. When you finally check online about the date you want since the show is getting close, you see all tickets are priced at $44.50 because demand is high. You purchase 2 online and the total comes out to $105.85 with ticketing fees (again, which do not benefit us). For twice that price each, you and your bestie would have had ALL SIX shows and all the perks that come along with the pass. That’s an insanely good deal. Convenience. Look, we’re all busy and none of us really want to commit to anything that far in advance. I’m the king of the “maybe” or “interested” response to just about anything, I get it. With the season pass you’ll automatically be seated into our opening week but then you can move around to any date you want as many times as you want at no extra charge. Our shows run for at least a month at a time (and at least half of the coming season will run longer than that), so you should always be able to make at least one date work. If you find out you simply cannot make a show, or if for any reason you’re just not interested in a certain one, you can donate your tickets back to us for a tax credit. We’ll offer the tickets to someone who would not otherwise have been able to afford to come. Free stuff. Not only are our exchanges free, but you’re also going to get a free buddy pass to bring a friend to the show of your choice during the season (a minimum $29.50 value) and you get into all of our Job-side Projects during the year for free. A shot at the hottest ticket in Tampa. One lucky season pass holder who orders by July 17 is going to also win a pair of tickets to see Hamilton: An American Musical when the show stops in Tampa. Someone’s gotta win ’em, why not you? The odds for last year’s contest were about 1:175. It’s hard to say right now what the odds will be for this year, but I estimate in that same ballpark. A better show. With your support we’re able to better negotiate with artists who are in demand, afford union contracts, pay for that nicer set piece or costume, or pick up that really cool gadget that does that rad thing. It’s that simple. In addition to what’s in it for you I would just like to point out, for those of you who really love your Friendly Neighborhood Theater Company, what’s in it for US when you pick up a season pass. Peace of mind. The more season passes we sell over the summer the better we’re able to plan. We know better up front how much money we might be able to budget on the shows without worrying about if we’ll sell enough tickets to cover it. This means less scrambling down the road, and less of a chance we have to cut back or not honor an agreement we’ve made. This saves us so much time and energy. Better quality of life for our artists. Ticket sales and artist pay are directly tied to one another. The more money we make, the better we’re able to pay. The more tickets we’re selling, the better the odds we’ll be able to hold over for a week or two or add performances. The more performances we do, the better our artists are paid. Our ensemble is 100% local, and the money they make stays here in the community. That’s not the case with touring shows and out of town artists. The more work these artists can get, the better our chances of keeping them here. Better quality of productions. Yes, this is a bonus for you AND us. Having a heavy season ticket holder load-in also means we have more money to spend on artists, sets, costumes, lights, sound, and props. When that money isn’t there, it not only takes a lot of time to beg, borrow, and steal those things we might need but also time in sorting out how we might find another solution or, worse, cut corners and compromise our vision because we simply don’t have the money. It allows us to focus on making great shows and not on getting people in the door to see them. Currently we can pretty much guarantee that opening week will be sold out because of our increasing number of season pass holders. This allows us to usually go into opening week working to sell the second week. When people see opening weekend is pretty much gone it creates urgency for them to hurry up and make a plan and buy. This all creates a snowball. When that’s not happening, we’re often sitting in the middle of tech week, our busiest period before we open, also scrambling to try to figure out how to get people in the door. Ain’t nobody got time for that. Most single ticket sales from Joe Average occur within 72 hours of a performance time. That’s just WAY too much uncertainty for an organization our size. We depend on our season passholders. When we were all a lot younger and more resilient and didn’t care about silly things like sleeping or eating or making our mortgage payment we were ok with selling most of our tickets on the day of the show and rolling the dice if folks turned up or not. But what happens when they don’t come that day and we play to 10 people, or to the day where we have to turn away over 20 people at the door because no one bought a ticket in advance just expecting to walk in? We lose twice! So, yes, we offer a HUGE discount and as many benefits as we can possibly muster to entice you. We’ve also started using a dynamic pricing model that further incentivizes advance purchases. This is no different than what airlines, hotels, train companies, and many theme parks and other attractions are doing now. Our goal is to do everything possible to reward our best customers and make waiting until the last minute the least attractive option. I hope you join us for our 2018-19 20th Anniversary Season. It’s a special one, and we’d all hate for you to miss a single show. Grab that season pass while it’s still our best offer?